I’ve been reviewing a few Bluetooth speakers lately and while some are copy-cat versions that show little imagination in design or audio quality, others are unique enough to garner attention. 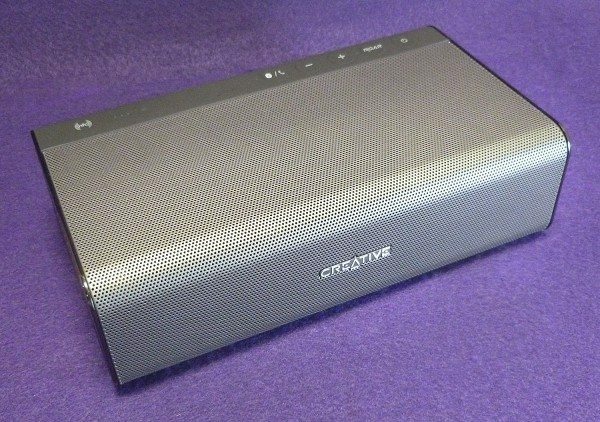 The Creative Sound Blaster Roar speaker falls into that unique category. In some ways, maybe it’s too unique (more on that later). If you are going to name a speaker Roar, then you probably should back that up. Creative manages to back it up and then some. 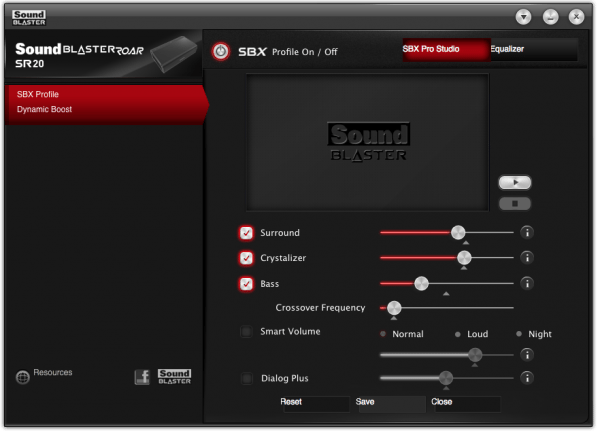 Having come from the Mac world, I was completely unfamiliar with any products from Creative, most notably the Sound Blaster sound card. Macs never needed them. They were capable of producing stereo audio starting with the very first Mac model. 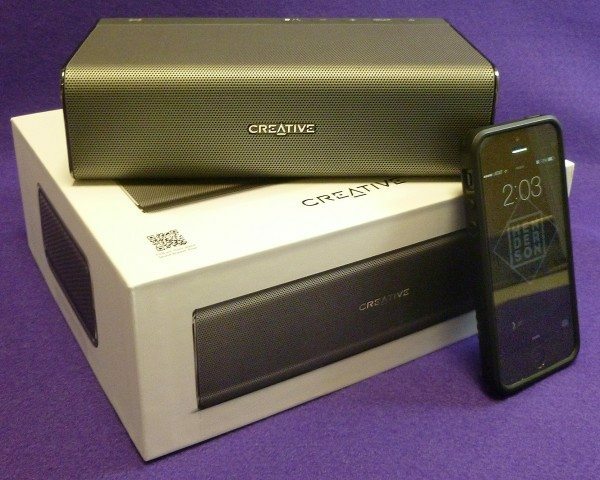 Creative was–and still is–well known on the PC side, but that’s expanding with their wide array of speakers, headphones and gaming accessories. 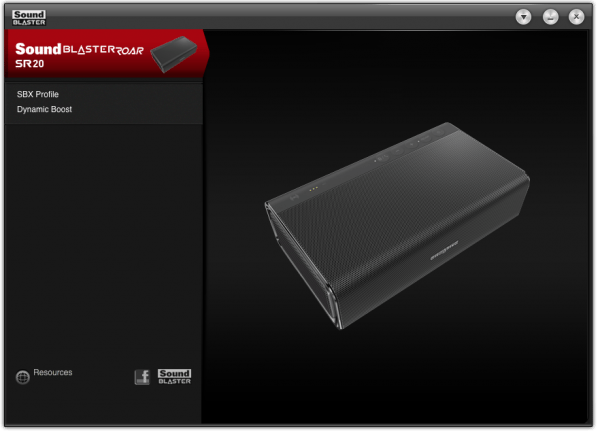 The Sound Blaster Roar is the first Creative product I’ve used and boy, is it impressive. The Roar speaker is not large, but it’s not Jambox small, either. Its 8 in. X 4.5 in. size fits nicely on a desktop or kitchen counter. At 2.5 lbs., the Roar is heavy enough to stay put on a table-top but light enough to be carried room to room. The look of the Roar is best described as “Bose-like”. Creative probably doesn’t want to hear that, but it’s meant as a compliment. I have issues with how some Bose speakers sound, but their design is classic. The Roar is also classic looking with its black and gray surface trimmed in pewter chrome accents. It simply looks–and feels–like it costs much more than it does. It even won the International 2014 Red Dot Award design. This review is a bit difficult to write, because the Roar does so much that it’s not easy to explain all of its features while keeping the review organized and coherent. If you want an exhaustive (and I mean exhaustive) explanation of the Roar’s features and the thinking behind them, Creative wrote a lengthy white paper that can be accessed here. Connectivity Modes for different usage scenarios. Got all that? I’ve had the Roar for 2 months and I still haven’t figured it all out, although I do admit that some of the features can be ignored and never thought of again. An increasingly popular use of Bluetooth speakers is stereo Bluetooth. The Roar speaker kinda does that, but not really. Yes, you can connect two Roar speakers for true stereo, but it requires what Creative calls the MegaStereo cable. It can’t be done wirelessly as with some other Bluetooth speakers. Because a cable is required, that means any speaker with an AUX port can be turned into a “slave” speaker to achieve stereo sound. I can’t think of any other Bluetooth speaker that allows that. The MegaStereo cable is an extra cost option and is not included with the Roar speaker. Another cool factor of the Roar speaker is an included microSD slot. If this feature exists on other speakers, I haven’t seen it. The microSD card turns the Roar speaker into a music player independent of any music source. Think of it as an iPod with no screen. 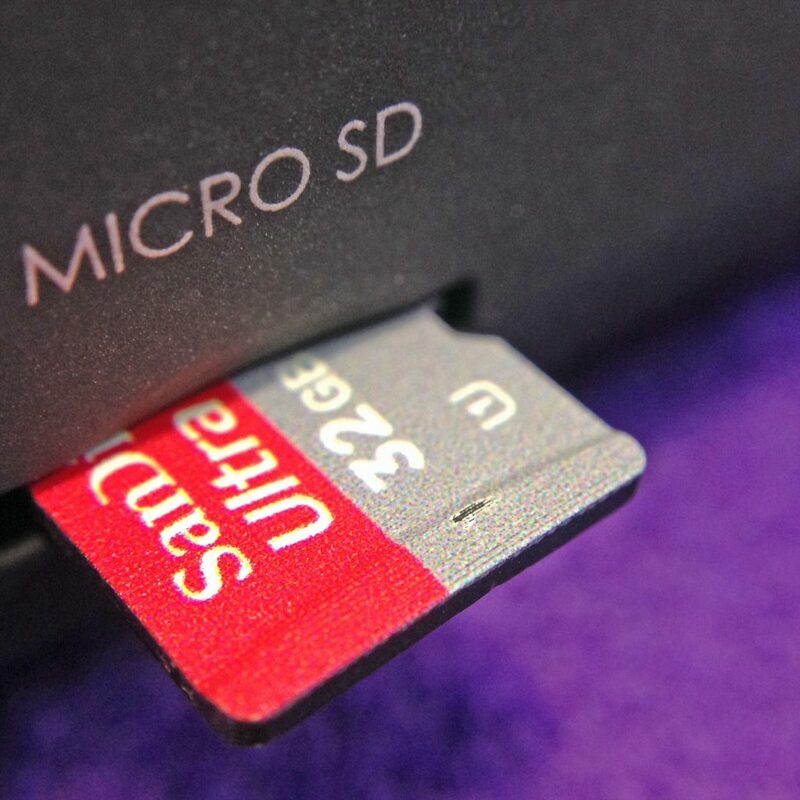 However, the SD card cannot be over 32GB and the music file formats are limited to MP3, WMA or WAV. No ALAC, FLAC or other hi-res formats will work. When the SD card is inserted, the Roar also becomes a card reader and music can be added or removed using your computer. Except when it doesn’t. More often than not, the card would not show up on my desktop and then other times it would just magically appear. I’m still trying to figure out what causes this. PC users may not have this issue. When the card is visible though, adding music is only a matter of drag and drop—very easy. Bluetooth pairing is the usual setup. The Roar uses two better audio quality versions of Bluetooth: AptX and AAC. The Roar also uses NFC for connecting, but since no iPhone uses NFC (yet), I can only assume it works as advertised. I admit that when the Roar is placed near my iMac, I have it hardwired via USB instead of wireless. When wired, the audio is much better and there are none of those annoying Bluetooth dropouts. Connecting using USB is not as seamless as it should be, however. Once connected, you have to press and hold the PLAY/PAUSE button on the back of the speaker. It makes no sense. But once done, the USB kicks in and the Roar works and sounds great. 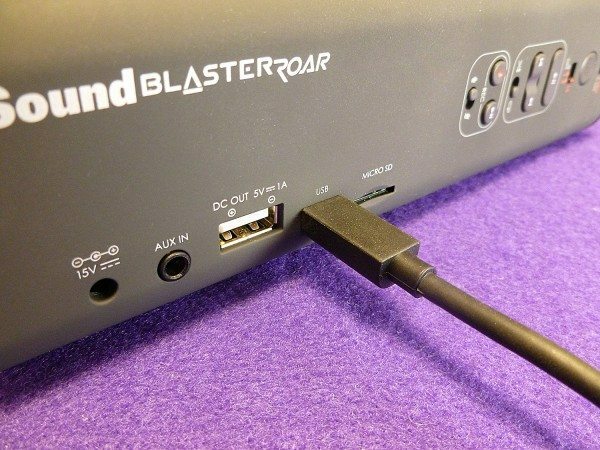 One reason for this good audio quality is that a USB connection allows for an all-digital audio stream until the Roar’s built-in digital audio convertor creates the analog signal that we hear. That’s always better than relying on a computer’s headphone jack for audio. Another good reason to connect with USB is that the Roar’s 8 hour battery is charged while connected. The Roar’s Bluetooth can be shared. 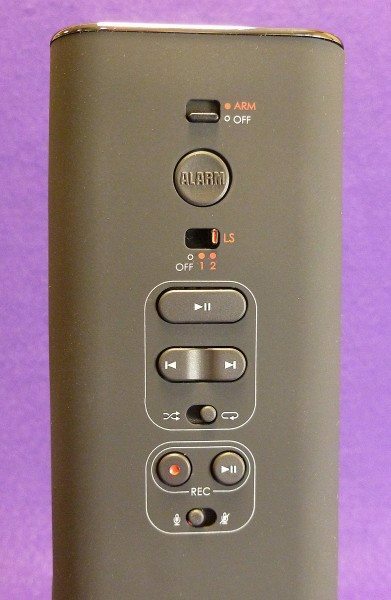 There are three LS (Link Security) choices: LS Mode 2 allows for a connection of up to 2 Bluetooth devices. LS Mode 1 allows any Bluetooth device previously paired to reconnect and take over the speaker. LS Mode Off keeps Pairing open allowing anyone to take over the speaker. LS 2 is the default setting and I personally have no reason to change that. Creative offers a Sound Blaster Control app that only works via USB. This app allows the sound to be fine-tuned by either choosing a preset or doing your own custom tuning. If you choose one of Creative’s settings, the Roar speaker will remember what you chose until it’s changed. However, any fine tuning to the default setting will work up until the app is closed and then all settings are lost. The only way around this is to alter one of the included presets and then save it as your own, even though the preset’s name cannot be changed. Maybe a future firmware upgrade can improve on this. There are a couple of audio enhancement selections on the Roar speaker independent of the app. A button labeled ROAR sits next to the ON/OFF button. Press this and the audio expands making the speaker sound less directional. This is possible because the Roar speaker uses its own digital signal processing to give the feeling of spaciousness. I prefer this setting even though I don’t usually go for artificial audio trickery. Creative recommends that the Roar be plugged-in to get the full benefit of the ROAR feature. 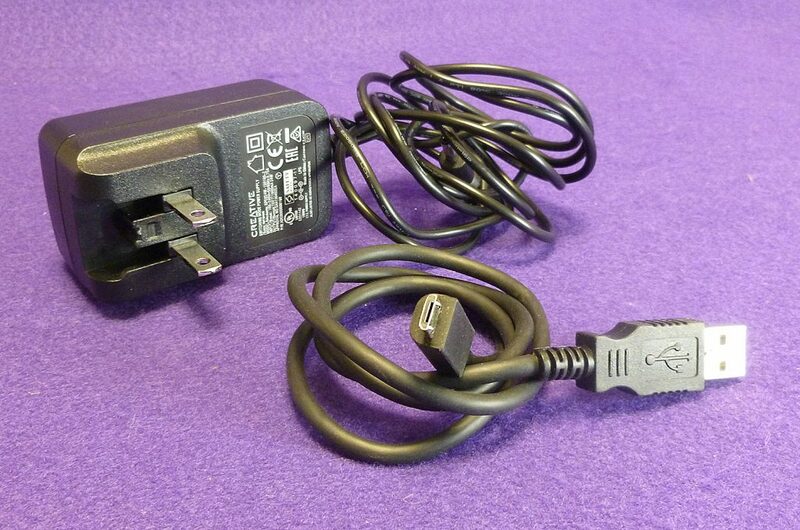 Maybe so, but I use it whether plugged in or not. There is also what Creative calls a Tera Bass setting. This is activated by pressing the Alarm button on the back … because there is no Tera Bass button. Don’t ask. Anyway, Creative says that the reason for Tera Bass is to add more depth at lower volumes. When activated, all I hear is a much muddier sound regardless of volume. It’s one of those settings I choose to ignore. 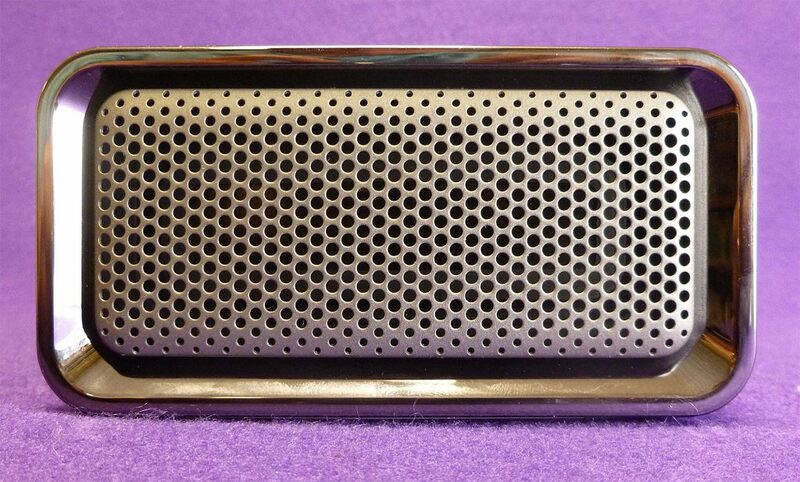 Yet another unique feature of the Roar speaker is voice or music recording with its built in mic. An SD card is required for this and the recording quality is only 16 kHZ, but this lower res allows entire meetings or music practice sessions to be recorded. Since the record function also works wirelessly using Bluetooth, telephone conversations can be recorded. Note that there are specific laws in certain states that prohibit or limit this practice. You’ve been warned. There is also hands-free calling with the Roar, although that’s a feature included in most Bluetooth speakers today. The Roar will charge any smartphone with its standard USB port. This is another formerly rare feature that’s now commonplace. There is a built-in bedtime setting that lowers the volume gradually over 15 – 30 minute period to help lull one to sleep. If you are inclined to use Bluetooth speakers as smartphone alarms, then this could be a desired feature. 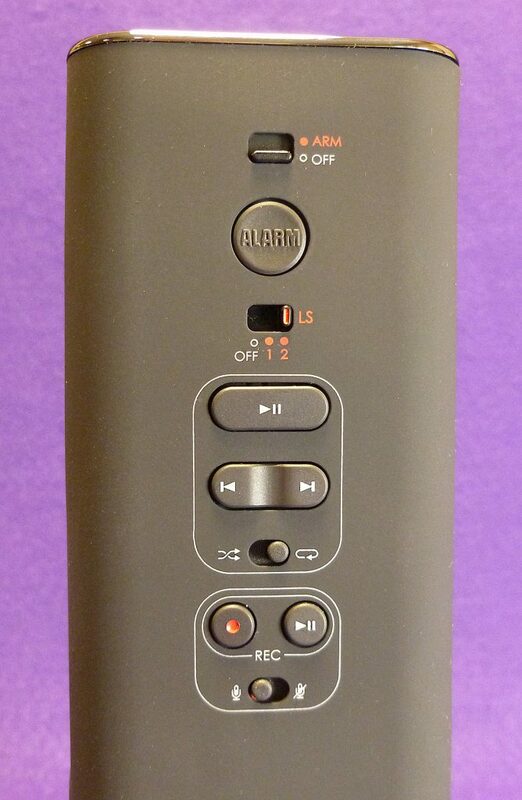 Speaking of alarms, remember the Alarm button that turns the Tera Bass on and off? It will also sound an actual alarm. Press the button for 3 seconds and a shrieking siren fills the room and your brain–not pleasant. Creative warns that letting the Alarm play for too long can permanently damage the speaker drivers. This is another feature to ignore. 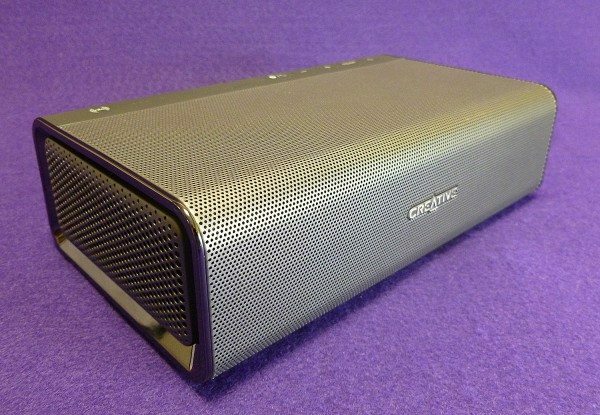 So yes, the Creative Roar is an amazing speaker that has a boat-load of tricks up its sleeve. That’s all good, but if it sounds like–well, bad–then what good is it? 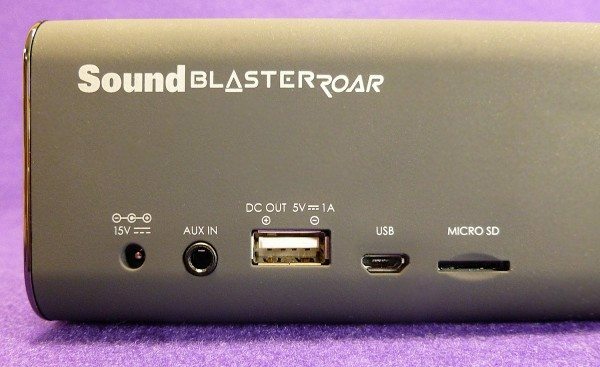 Here’s the best part: The Sound Blaster Roar sounds freaking amazing. Its 5-speaker arrangement allows the sound to spread out in all directions. An oversized mid/bass subwoofer projects sound up while two front firing drivers handle the higher frequencies . On the sides of the Roar are two passive bass radiators which enhance bass without becoming boomy. The Roar features a bi-amplified design, meaning there are two amplifiers–one dedicated to the middle and lower frequencies, and another dedicated to the highs. This design is less taxing on each amp making them more efficient. I’ve heard many single-amp speakers that sound good, so it’s not clear to me how advantageous this approach is. But one thing is clear. The Roar is hands-down, the best sounding speaker I have heard in this size range. Its combination of clarity coupled with decent, but not overpowering bass, makes the speaker’s sound approach audiophile quality. I could listen to the Roar all day and not wish I was listening to a different portable speaker. Whether I was listening to a Pulp song with their heavy reliance on vocals and bass, a light classical Debussy waltz or even Malcolm McLaren rapping about Buffalo Gals in an early hip-hop song, it didn’t matter. Everything sounded great. There are few speakers that can handle every style of music effortlessly. It is probably the best indoor (and I mean indoor) speaker you can buy for the money. Want to know what the most amazing thing about the Roar is? It’s only $150 bucks! This speaker is easily worth $200 and maybe more. Creative cannot keep up with orders and it’s easy to see why. The Roar has its annoying quirks along with some unnecessary features and is not suitable for inclement outdoor weather, but these are not deal-breakers. The Creative Sound Blaster Roar may just be the speaker deal of the year. Source: The sample for this review was provided by Creative. For more info visit http://us.creative.com. I’m wondering how this holds up against the Bose Soundlink Mini and the Soundlink III. The Roar’s price is hard to beat… but price aside, I wonder? I should have been more clear. I meant to say that FOR THE MONEY, the Roar is the best sounding speaker I’ve heard. The Bose speakers may sound better, but they are much more expensive. The Roar does not feel like a $150 speaker at all. Perfect; that’s kinda what I thought. Good to know! I was wondering if you’ve had the chance to listen to Braven’s 850/855S portable speaker? and how might it compare to the Creative Roar? Keep in mind that it’s almost double the price. 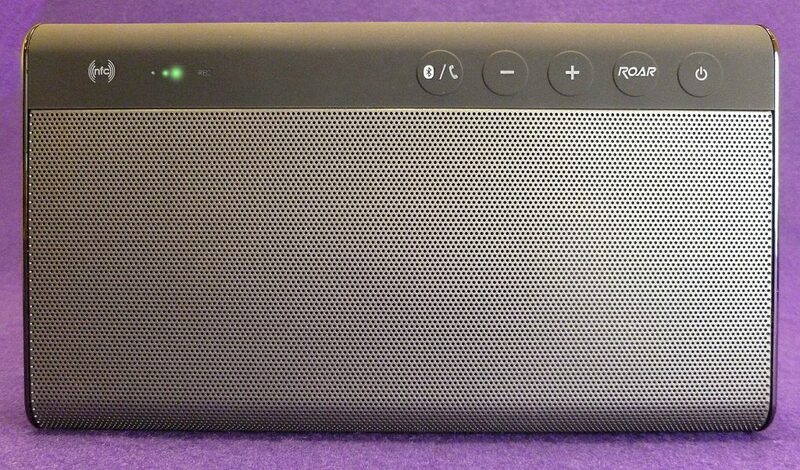 The Braven is more powerful, bigger and sounds it. But the Roar hits a sweet spot of price and audio quality that is hard to beat. Right now Braven 850 can be had for $180 and Creative Roar at $150 on Amazon. Would your top pick between the two be the Braven? I understand that the size between the two is similar while the Braven weighs more. Does the Braven outpower Creative roar by a large margin? or does the Creative Roar’s sound quality outperform the Braven? Sorry about all these questions. It’s hard to compare in my head from memory. It depends how you want to use the speaker. If you take it outdoors at all or want to play in a larger room, go with Braven. A smaller room and indoors only for personal listening, the Roar is preferable. Hope this helps. Hey bro, I just got my Roar today and I love it! TeraBass is only nice if using ‘Roar’ as well, I have to test it more though. What I was wondering is about ‘megastereo’ I was thinking about getting a second Roar since it’s gonna be at $129 (free carrying bag) until Monday… But, have u tried it? The only thing I see is that in megastereo the connection gotta be bluetooth and that breaks it a little. So…Bill, what’s your favorite BT speaker for sound quality? Bass quantity < Bass quality, also. Sounds like it's the Fugoo but I'm not totally sure, based on your reviews. I prefer the sound of the Roar overall, but—and this is a big but—it should be placed somewhere in a room and left there. Any portability and I give the nod to Fugoo. Plus, if you EVER want to take it outdoors, then I pick the Fugoo all the way. One thing you may want to consider is that the Consumer Electronics Show is coming up in early January. If you are not in a rush, many new and updated speakers will be introduced. That’s always fun to follow. Can the Roar be connected to a TV? If so would I or could I connect two of them?